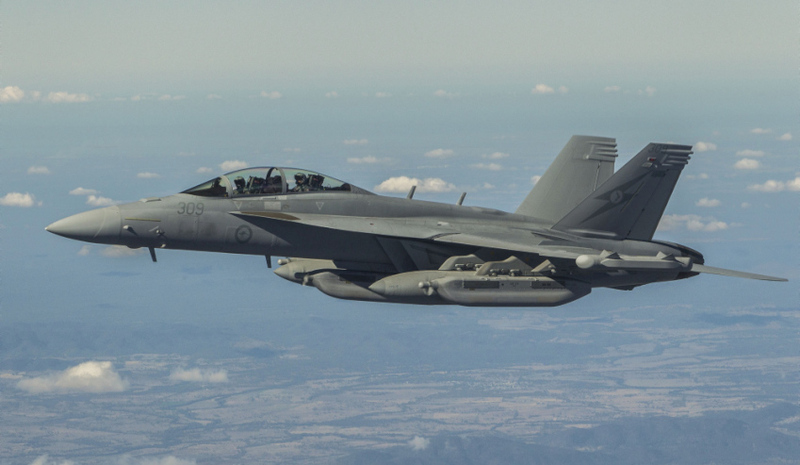 An RAAF EA-18G Growler from No 6 Squadron flying to Shoalwater Bay to participate in air operations for Exercise Talisman Saber 2017. Commonwealth of Australia, Department of Defence. The strength of Australia’s defence policy frameworks can withstand and continue to prosper throughout government changes, a defence prime chief executive has said. Babcock Australian & New Zealand CEO David Ruff said the sustainability of Australia's defence industry future was secure under the current and any future Australian government, a trait reminiscent of the UK, home of Babcock. "We [Babcock] take an apolitical view globally," explained Ruff. "What we look for is much more on the policy frameworks and the sustainability of those and the resilience of those. In Australia, we see that in bucket loads. We have no questions around that at all. "Whatever the colour of the government, there is a very strong public service, which, like the UK and like other developed nations, provides for that continuity and consistency. That's what gives us the certainty to invest." And Ruff's complimentary view of Australia's reinvigorated defence industry did not stop there, with the CEO praising the strides the industry has taken since the release of the 2016 Defence White Paper; strides other nations should look to replicate. "If you look at the decisions that the Commonwealth has made in the last 12 months, I think in many senses, Australia is setting the pace for the rest of the world," said Ruff. "They have a very clear defence policy, white paper, the procurement that comes out of that is very clearly articulated, the industrial policy that underpins that now and some of the things like the next generation fund, the defence technology centre, all of those sorts of institutions and activities that are coming out of it are, I think, really setting the pace and setting the model for others to follow." To hear more from Babcock Australia & New Zealand CEO David Ruff, tune in to our exclusive podcast here.